Ray Dalio is the founder, chairman and co-CIO of Bridgewater Associates LP, the world’s largest hedge fund and the fifth most important private company in America. His recently released new book, “Principles: Life and Work”, is already a New York Times best seller. 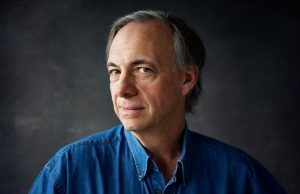 But for a man with so many successes in life, Dalio speaks a surprising amount about failure and how it has helped him in his professional and personal life. Amongst other things, he credits that mentality to Joseph Campbell’s The Hero With A Thousand Faces. Here is a list of articles and videos about Dalio, his relationship with Campbell’s book and his unusual way of running a company.